Works of Richards J. Heuer, Jr. 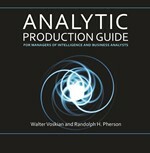 The Analytic Production Guide examines the tasks of a first-line supervisor in an analytic unit of an intelligence organization or a company. 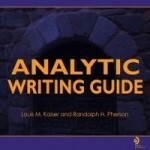 It offers tips on how to guide analytic production from conception to publication and delivery. The Analytic Writing Guide offers a mix of strategic and tactical advice for writers of analytic papers who need to inform a busy decision maker often preoccupied with other tasks. Intelligence Communication in the Digital Era explores key issues that are emerging in the transition from hard copy to electronic products, including how to meet changing expectations for presenting analysis, customizing to decision makers, leveraging advancements in technology, changing the way analysts do their work, and Investing in more client-centric analytic tradecraft. 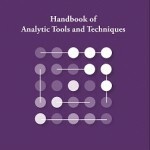 The Handbook of Analytic of Tools & Techniques provides a definition of 24 structured analytic techniques, guidance on when to use them, how they add value to the analysis, and step-by-step directions for applying each technique. by Richards J. Heuer Jr. Psychology of Intelligence Analysis discusses how cognitive biases can prompt people to employ simplifying strategies that lead to predictably faulty judgments. Structured Analytic Techniques for Intelligence Analysis showcase fifty-five structured analytic techniques that represent the most current best practices in intelligence, law enforcement, homeland security, and business analysis. 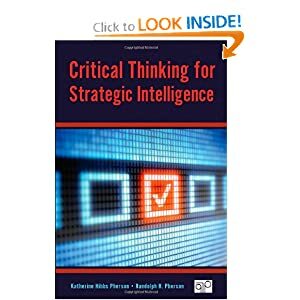 Critical Thinking for Strategic Analysis is organized around twenty questions that all analysts should ask as they prepare to conduct research, draft papers, and present their analysis. 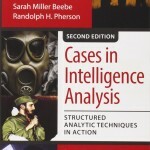 Cases in Intelligence Analysis provides 17 compelling case studies on events in foreign intelligence, counterintelligence, terrorism, homeland security, law enforcement, and decision-making support that illustrate how to employ 27 different structured analytic techniques. 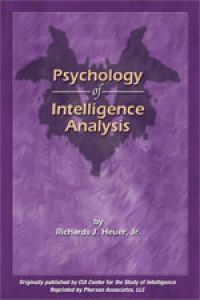 The Aluminum Tubes Case Study applies the Key Assumptions Check, Premortem Analysis, Structured Self-Critique, and Analysis of Competing Hypotheses techniques to explore how the Intelligence Community could have avoided the cognitive traps and incorrect mindsets that led to this intelligence failure. The Iraq WMD: Facts, Fiction, and Yellowcake Case Study applies the Deception Detection, Diagnostic Reasoning, Argument Mapping, and Key Assumptions Check techniques to explore how better analysis could have debunk the yellowcake reporting and provided better support to senior policymakers. The Murder of JonBenét Ramsey Case Study applies Multiple Hypothesis Generation, Analysis of Competing Hypotheses, Indicators, Indicators Validation, Venn Analysis, and What If? Analysis to explore how better analysis could have helped the Boulder, Colorado Police Department solve this murder.